You have something very valuable in your hands. A lifetimes worth of training knowledge, drawn from the worlds most extreme arenas. Lessons learned and best practices from military operators, tactical law enforcement, combat athletes, and others that rely on their physical abilities to survive and thrive in very harsh and unforgiving environments. Where theres more at stake than winning a medal, or getting a bruised ego. Its great having a 600lb squat and 400lb bench press. However, as an operational athlete, if you cant move, work, or thrive for long periods of time in a multitude of energy demanding environments, you are ineffective. Your big bench is useless; your big squat is useless. Tactical Barbell proposes you work towards being a different kind of athlete. The kind thats not only extremely strong, but also highly conditioned. If you look carefully, youll see these people all around you. That guy on your Emergency Response Team with the 350lb bench press and a sub 9 minute 1.5 mile run. The old Marine Sergeant that can run 6 miles in under 40 minutes followed by 30 dead-hang pull-ups. So how do you get there? It’s not what you think. Popular ‘bootcamp’ style approaches that throw a lot of push-ups and running at you in a haphazard fashion don’t work for long. Sure, you’ll break a sweat and release some endorphins. You might even lose a pound or two. But take a good hard look at your progress. For all your effort, are you really that far ahead? To make real progress, you have to look to the approaches used by professionals. Train each attribute you’re trying to improve in a progressive manner, using the most effective tools for that particular fitness domain.In TB2, you’ll find the structured, three-pronged approach to conditioning we take with tactical athletes. It consists of Base Building, followed by a transition to a more specific continuation protocol. Periodic maintenance of lower-priority domains complete the model.TB2 is the premier training manual for tactical law enforcement candidates, soldiers, and other operational athletes. 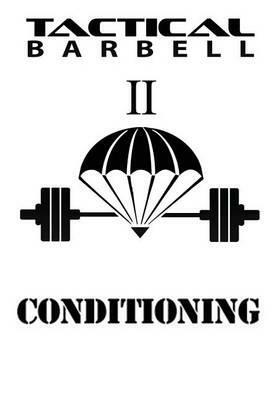 You will be hard pressed to find a more thorough and effective conditioning program. If youre a results-oriented individual looking for concrete, actionable programming based on cutting edge practices, this book is for you.